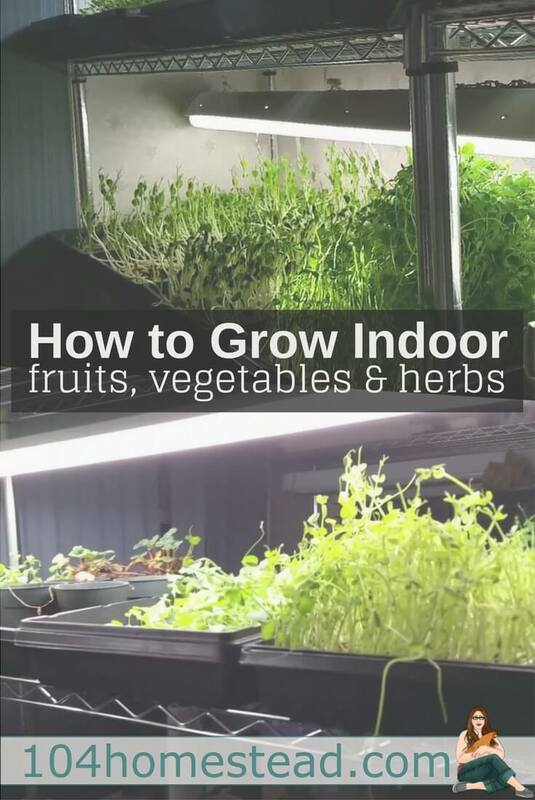 Are you ready to learn how to grow food indoors? 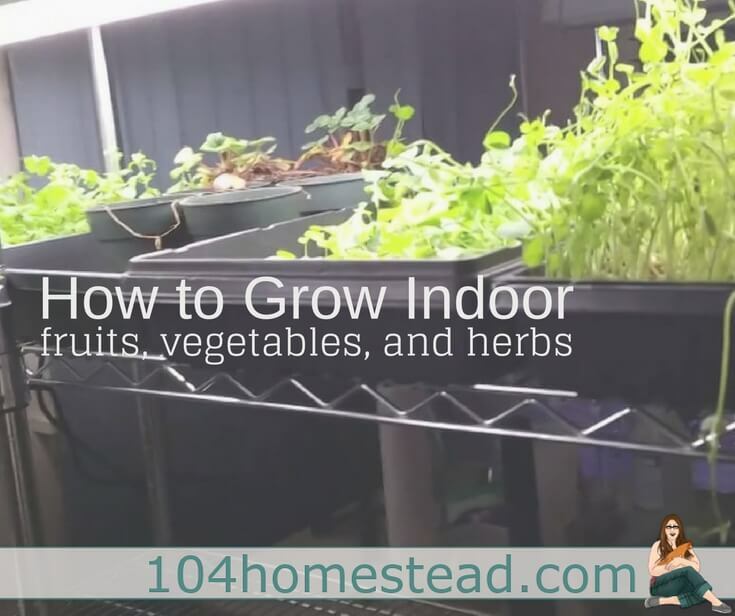 There are a lot of options that are suited nicely to indoor gardening. Window sill gardens are a great way to grow food. Herbs are often grown on kitchen window sills, but don’t stop there. Leafy greens are great candidates for indoor gardens. Like most herbs, they don’t have high light requirements, so you could even keep them near the windows and free up valuable space for the big guns: vegetables. 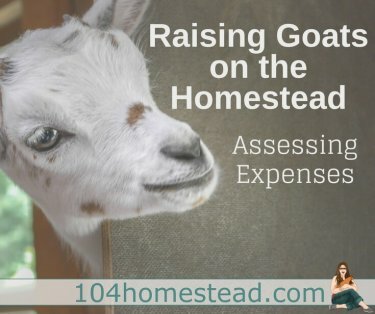 Here’s what to grow and how to grow it. It’s possible to grow an avocado tree from an avocado pit, but doing so may not yield edible fruit. It’s better to purchase a dwarf avocado plant. Start in a small pot, but plan to upgrade as it grows. Water the tree regularly but make sure the soil is never soggy — avocado roots don’t take well to being waterlogged. Prune the shoots regularly. Green varieties are ready to harvest when the fruit’s skin turns slightly yellow. Darker varieties are ready when their skins have turned almost black. Plant the seeds in a container that’s at least 1 1/2′ wide and deep 1″ apart in rows that are six inches apart from each other, pressing the seeds gently into the soil and covering them with a thin layer of soil. Keep the soil moist, but not soaked. To help preserve moisture, place a layer of open-weave burlap over the soil and seeds. Expect the seeds to start sprouting in about 2 weeks. Carrots are ready for harvest when they’ve grown to about ¾ of an inch across the top. Once the carrots have been harvested, remove the greenery immediately, wipe off dirt, and let them dry before storing them in the fridge. Purchase a few garlic bulbs with small cloves. Plant in a 4″ pot with drainage holes at the bottom. Fill the pot with soil to about 1/2″ below the top of the container. Push each individual clove (with its skin still on) about 1″ into the soil, pointy end up. Plant a dozen cloves close together. Water well and place the container in a sunny spot. Water regularly, making sure that the soil remains moist but not soggy. Green shoots should appear in about a week. If you want the option of harvesting fruits right away, purchase a 2-3 year old dwarf tree at a nursery. Choose a pot slightly larger than the root ball of your tree. Place the plant in an area that will receive 8- 12 hours of sunlight each day and will stay 55-85°F. Water regularly, but be sure not to over-saturate the soil. Mist the leaves with a spray bottle regularly to keep the leaves perky. Most lemons will ripen in six to nine months. Test for ripeness by looking for full color and gently squeezing the rind. A slight give indicates that the lemons are ready for eating. Researchers found microgreens contain up to 40 times higher levels of vital nutrients than their mature counterparts. Purchase a variety of seeds like radishes, kale, swiss chard, beets, basil, and dill. Choose a shallow tray or pot. Moisten the soil with water, making sure that it’s damp but not wet. Sprinkle the seeds evenly over the soil. Add a thin layer of soil over the top to cover the seeds. Using a spray bottle, mist the soil. Place the tray on a sunny windowsill in a room that’s 60-70°F. Mist the soil daily so it remains moist. Don’t let the soil dry out. In 3-5 days the seeds will likely germinate. Once the seedlings have grown 1-2″ in height and have about two sets of leaves, they’re ready to eat. Hold them at the stem and use a pair of scissors to cut off the leaves, making sure not to cut into the root. Eat the microgreens right away or store them in a plastic bag in the fridge for up to 5 days. Use your finger to poke holes into the soil about four inches apart. Sprinkle a few seeds into each hole, then pat the soil back over the hole to cover them up. When plants start to appear, pull out all but the largest, healthiest shoots. Water the soil regularly, making sure that it always remains moist to the touch. To harvest mixed greens, cut off only the outer leaves with scissors to allow the plants to keep growing. Be sure not to disturb the roots. The days to maturity for tomato varieties ranges from 50 to 90 days. Choose a 6″ pot. Fill the pot with starter soil and plant seeds about 1/4″ deep. Water, keeping the soil moist but not soggy. Turning the pot occasionally so all sides have even access to the sun. Expect the seeds to germinate in 5-10 days. About two weeks after transplanting, apply an organic fertilizer. As the plants grow larger, they may need to be staked to avoid broken stems. When plants bloom, tap the main stem and larger side branches with your finger to encourage indoor pollination. When the fruits are red and firm, but with a slight “give” to the touch, they’re ready to eat. Either clip or gently twist and pull the fruits from their stems. Choose a container that’s at least 4″ wide and has good drainage holes. Fertilize the soil about once a month with organic or slow-release fertilizer. Water often. Pruning will also help you maximize your basil yield. When the top leaves reach 6″ in height, start pruning them. Continue to prune as the plant gets bushier. Be sure to pinch off any flowers that appear. Gently snip a few leaves from each plant, making sure not to remove all of the leaves from any one plant. Are you ready to start growing food indoors?